"We have an obligation to our soldiers, sailors, airmen and Marines, and also the civilians across this world," said Rep. Trent Kelly, R-Miss., at a recent congressional hearing. "There will come a time when we need that and we need to always be ready." 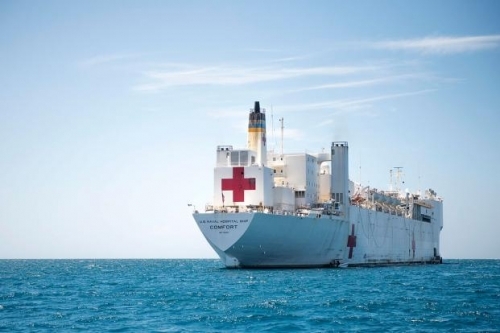 "I'm a big fan of hospital ships because I love the fact that we can help injured and ill service members," McDew said. � Copyright 2018 Stars and Stripes.